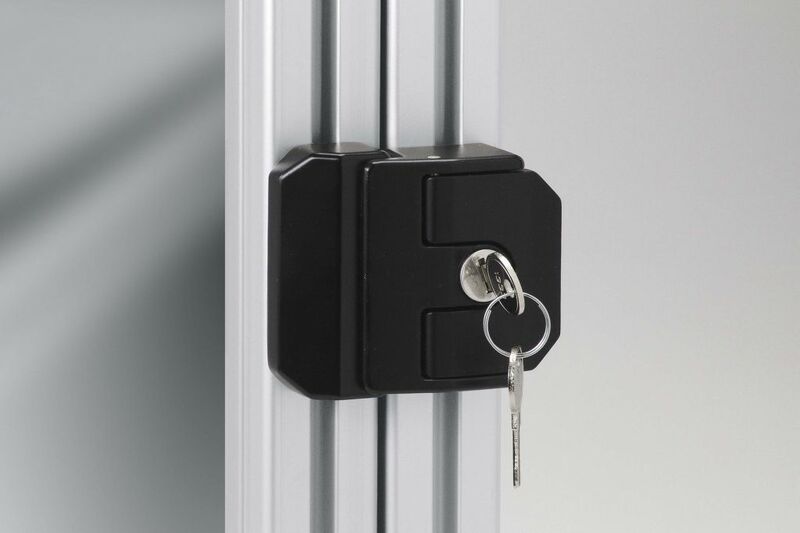 Suitable for latching swing and sliding doors and lids. It can be adjusted to the thickness of the panel elements by means of mounting slots. The catch can be rotated around 180° for different holding strengths. This slimline door latch is suitable for swing doors. It fits in the door gap between the standing profile and the door. 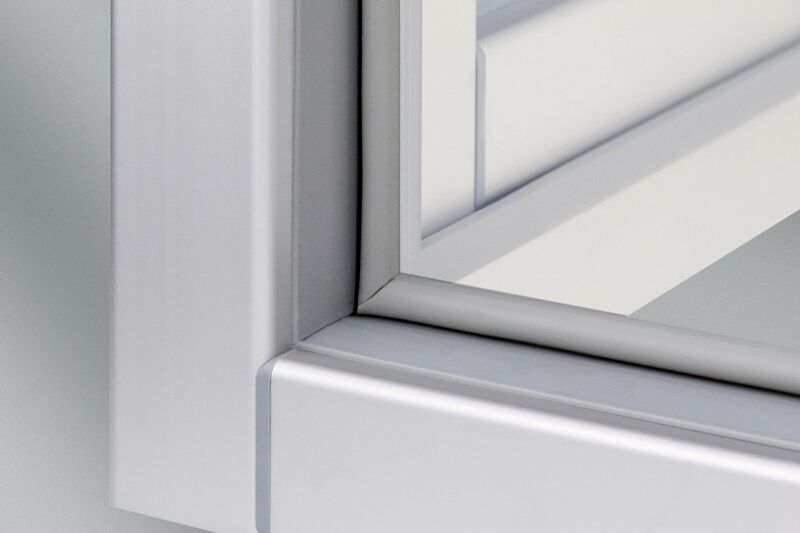 Because of its slim design, a door gap of 12mm is possible. 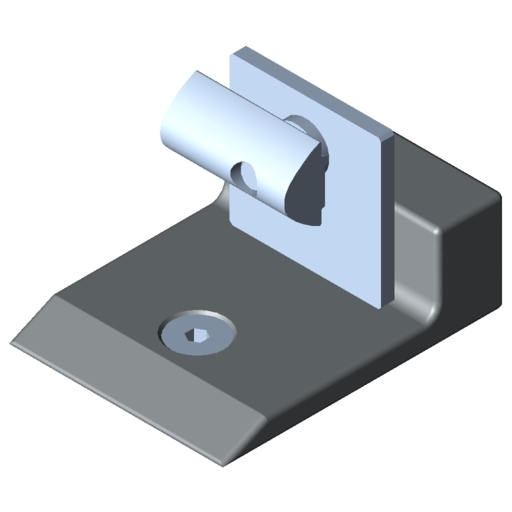 The Door Latch locks onto the head of a Hexagon Socket Head Cap Screw DIN 912-M6, which is screwed into the opposite groove using a T-slot Nut. 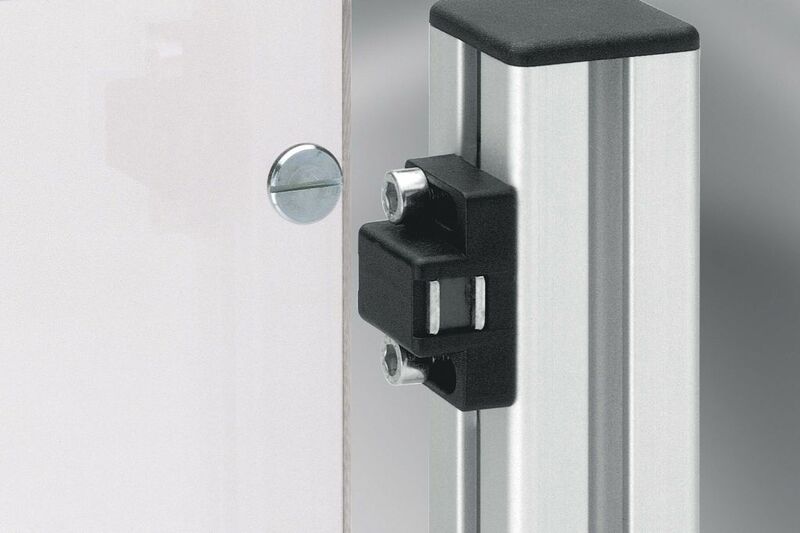 The latch can be attached to any combination of aluminium profiles 6 and profiles 8. 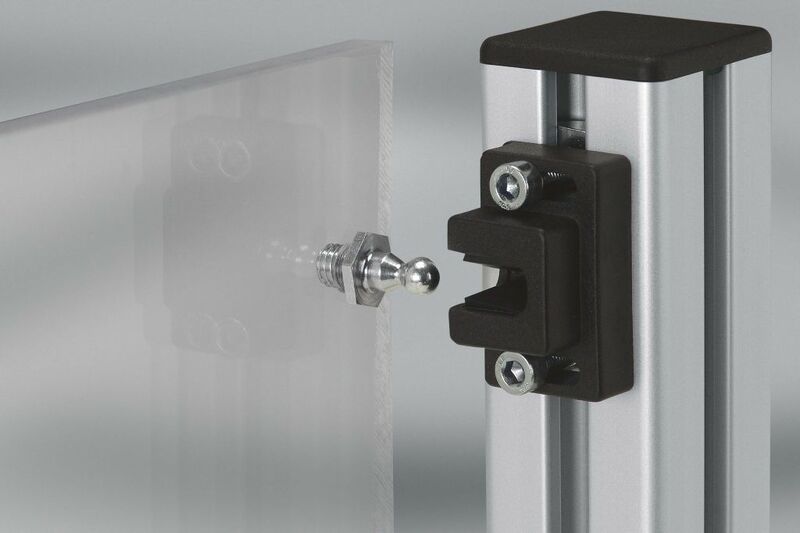 A quick-action latch for sliding and swing doors. They can be adjusted to the thickness of the panel elements by means of mounting slots. It is a low wear design with increased holding force. Use of a catch mounting bracket permits a narrow door gap. 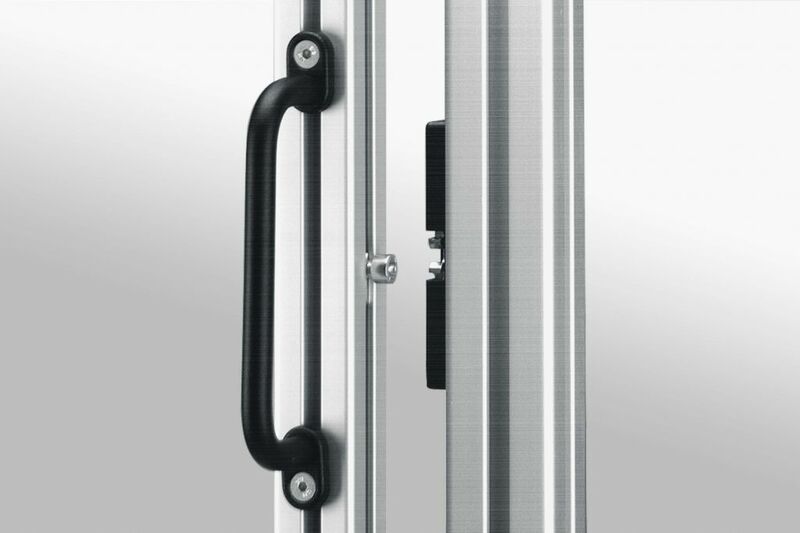 The Door Stop Seals are designed to fit in the door gap, where they function as both stop and continuous elastic seal for swing doors. The Door Stop Seal is fitted in the Profile 8 groove facing the door and stops the door leaf flush with the profile’s outer face. A lock system for swing doors that is screwed onto both the door and the fixed door frame constructed from profiles 6 and profiles 8. Fitted with an ergonomic swivel handle, Door Lock 6-8 Zn is the perfect solution for doors that are opened and closed frequently. The spring-loaded latch engages in the lock case secured to the outer frame.